The Thanksgiving holiday weekend is over in the U.S. (for my international peeps, hope you had a great weekend) and that signifies one thing in many minds. The beginning of the year-end holiday season. So hopefully, you’re not taking the rest of the year off and you are actually doing some work till the end of the year. And one of the easiest ways to prospect for new listings at this time of year is to call your SOI. More than anytime of the year, this is the easiest thing to do, because you have a great reason to call them. To wish them a wonderful holiday season. This is the greatest time to call your past clients, your referral sources, your friends, your current clients, everyone you know and reconnect with them and wish them a wonderful holiday season and a terrific New Year. Yes, you can start right now making those calls right till your year-end time off. There is no better reason to call. And want to save some money? Call your SOI instead of sending them holiday cards or New Year cards. This is what I do. I stopped sending holiday cards, and for me now, the next 4-6 weeks is all about calling my SOI. It’s more meaningful to call them, more personal and a hell of a lot less expensive. 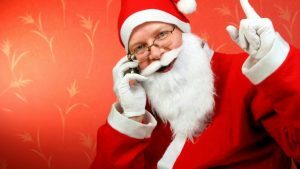 So get your holiday mojo on and make the calls that will help propel your listing inventory to great heights in 2019.